PAIR (2) 4.10 X 3.50 X 4 RIDING MOWER FRONT WHEEL ASSEMBLY'S. 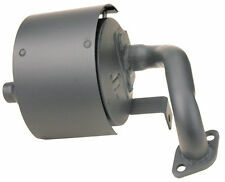 THESE WORK WITH 25", 26", 28", 30", 33" CUT REAR ENGINE RIDERS. SNAPPER/KEES 7052268. SNAPPER/KEES 7052267. Tread Pattern: Turf. Bearing Type: Ball. Style: Caster Wheel. Wheel Color is White. Works with 25", 26", 28", 30", 33" Rear Engine Riderss. Center Hole: 3/4". Snapper Gas Cap and Gauge for Rear Engine Riders / 7019377YP. Snapper Replacement Part # 7600135YP kit, friction ring. Replaces Snapper Part # 7075115YP. Supersedes Previous Snapper part # 7075115, 75115, 1-7083, 1-7084, 1-1011 & 1-8555. Disc Drive with Liner Replaces Snapper. · Genuine Snapper Part # 7012354YP. · Multi Ribbed. · Drive Belt. Also works and fits on below models RP216019KWV (7800199) 21" 6 TP Steel Deck Recycling Series 19. RP216019KWV (7800029) 21" 6 TP Steel Deck Recycling Series 19. P2187520FC (7800691) 21" 8.75 TP Steel Deck FC Series 20. 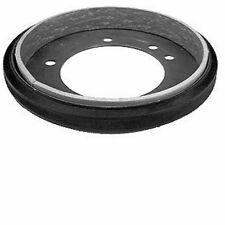 LAWN TRACTOR DRIVE DISC WITH LINER FOR SNAPPER PART # 7057423, 7053103. Trending at $24.88eBay determines this price through a machine learned model of the product's sale prices within the last 90 days. XHT BLADES. The XHT blades are made with MARBAIN which is what makes them THE BEST BLADE ON THE MARKET! CRAFTSMAN/AYP/SEARS/ROPER: 1708229. Greater yield strength—the strongest mower blades on the market. Snapper / Kees 7053103. Snapper / Kees 57423. Snapper / Kees 53103. Snapper / Kees 7600135. This is why the model & serial numbers must be referenced to find the correct part. FRICTION DRIVE DISC DISK WITH BRAKE LINER. SPECS: OD 6" (With Rubber) - ID 5.25" - center hole 3". part numbers 5-3103, 53103, 7053103, and 7600135,7600135YP. 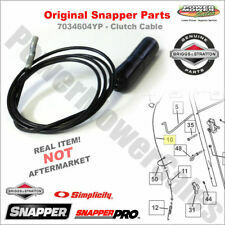 Genuine Snapper Zone Control Cable for Lawn Mowers and Other / Part # 7074141YP. Brand New (2) Pack of Genuine Snapper Axle Boots… · Axle Boot (2) Pack · Genuine Snapper Part # 7075115YP · Supercedes/Replaces Old Part # 7075115 · Genuine OEM Snapper Part Packaged by Briggs & Stratton (Mfg of Simplicity & Snapper). 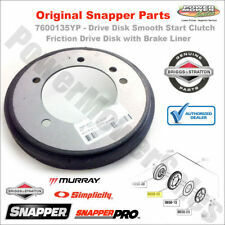 Snapper 7075115Yp - Boot Axle 7075115YP. REPLACES OEM #7019523. HEAVY DUTY GATOR STYLE MULCHING BLADE. SNAPPER RIDING LAWN MOWER / GARDEN TRACTOR / LAWN TRACTOR. MODEL NUMBERS ARE USUALLY FOUND UNDER THE SEAT OF YOUR MOWER. FOR 33" CUT. LENGTH: 33". 7014523YP Thrust Washer for Smooth Clutch Drive Disc. Snapper 7014523YP. Snapper: 1-4523, 70-14523, 7014523, 7014523YP. 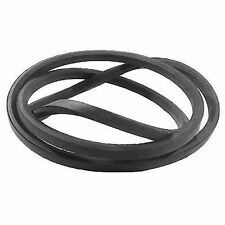 Stens Drive Disc Gasket. Use for smooth clutch assembly on series 6 and higher. Gasket 1-4523, 70-14523. 923-3018 Murray 021031 21031. Murray: 021031, 21031. 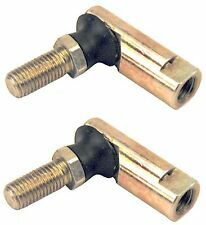 Ball Joint Fits MTD 723-0156 723-3018 923-0156. Ball Joint Assembly fits most of Murray & MTD Riders. Fits Snapper. MTD: 723-0156, 723-3018, 923-0156, 923-3018. FIT ALL SNAPPER MOWER DECK WITH BOLT ON FRONT WHEELS. · Supercedes/Replaces Old Part # 7600135, 7053103, 5-7423 & 5-3103. 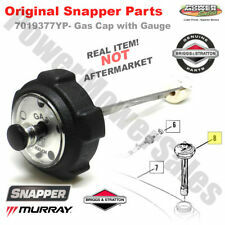 · Genuine Snapper Part # 7600135YP. · Drive Disc Kit. · Center Hole: 3”. Snapper 7024935Yp - Link Tie 7024935YP. NEW SNAPPER 21" GATOR MULCHING BLADE. THIS ALSO FITS THE 42" SNAPPER RIDER. THAT REQUIRES TWO BLADES. Snapper: 53103, 57423, 7053103, 7600135,7600135YP. Disc Drive W/ Lining Snapper. Rotary 10169 Disc Drive. LOT OF 3 of blades for MOST 52" SNAPPER lawn mowers.MADE IN THE USA! Made by rotary corp. Who produces 200,000,000 blades each year. They average 1 blade per second, and every single one is made right here in the state of Georgia. Tread Pattern: Turf. Bearing Type: Ball. Style: Caster Wheel. Wheel Color: Gray. Center Hole: 3/4". 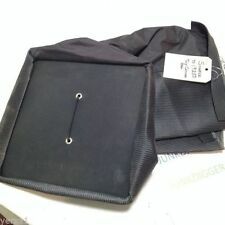 Snapper Replacement Part # 7026233YP chute, discharge. 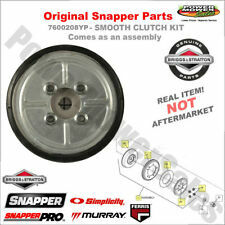 Up for sale is a new OEM 21" Snapper thatcherizer kit 61256. 7026343 7017817YP 2-6343 X660000410 1686637SM. 1686637SM, 2-6343, 7017817YP, 7026343, X66-00004-10. Starter Ignition Switch & Lead For. Ignition Type: Battery. Includes 2 Keys & Lead. Murray: 1686734SM. Simplicity: 1679006, 1679006SM, 1686734, 1686734SM, 5020927. Snapper: 1686734SM. Snapper Pro: 5020927. Scag Cougar, Cheetah, Tiger Cat, Tiger Cub, Sabre tooth Tiger, Super Z, Turf Tiger, V-Ride and Wildcat. 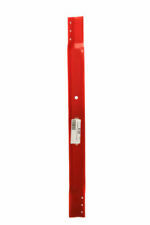 NEW SNAPPER 28" CUT RIDING LAWN MOWER HEAVY DUTY BLADE, DRIVE DISC AND DECK BELT. MSRP OF 75.00. PERFECT COMBO TO GET YOUR SNAPPER CUTTING LIKE NEW. WE HAVE THE PARTS THAT YOU NEED @ THE PRICE THAT YOU LOVE! SNAPPER REAR ENGINE RIDING LAWN MOWER REAR WHEELS NEW. 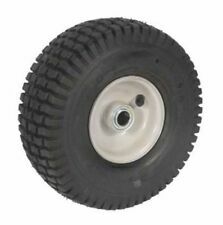 YOU WILL RECEIVE TWO TURF SAVER TIRES MOUNTED ON TWO HEAVY DUTY STEEL RIMS WITH THREE BOLT HUBS. THESE WILL FIT 25", 26", 28", 30", 33" CUT SNAPPER REAR ENGINE RIDERS. SNAPPER # 7022252 7018236. FITS 25", 26", 28", 30", 33" CUT MOWERS 1991 AND NEWER. ACTUAL BELT NOT PICTURED. 2) USED 4.10×3.50-4 tires with used tubes These areused on equipment for only 1 or 2 seasons before replacement. Most will have odd wear patterns but still alot of tread left. Pickup is available. 48 state shipping only. I have used tubes available on eBay also. Snapper: 7035500, 7035500YP. Husqvarna: GTH200, GTH220 GTH250, GTH2448T and YTH20 Snapper: LT100 series. Width 1/2". We recycle! Our team works hard to find you the best deals and provide you with a wide selection of products. REPLACES SNAPPER # 7011807. GET THAT SNAPPER SNAPPING LIKE NEW! The Model number is usually under the seat of your mower. All warranty work must be done by an authorized warranty dealer as directed by the manufacturer. Brand New (2) Pack of Genuine Snapper Steel Wheels… · Steel Wheel (2) Pack · Genuine Snapper Part # 7035727YP · Supercedes/Replaces Old Part #’s 1-1082, 7011082 & 7035727 · Wheel Size: 8x1. 1686637SM, 2-6343, 7017817YP, 7026343, X66-00004-10. Starter Ignition Switch w/keys Replaces 1686637SM. 2-6343, 7017817YP, 7026343, X66-00004-10. Ignition Type: Battery. 5/8" mounting stem. Replaces Snapper Part Numbers 36451, 58342, 7058342 and 7058342YP. GearBox Used on Deck on Many Models of Snapper Zero Turn Mowers. 84344 - ZF5200M, 52" Out Front Mower Deck Series 0. 84345 - ZF6100M, 61" Out Front Mower Deck Series 0. Brute, Snapper,Simplicity Lawnmower Drive Cable only. Fits OEM Part Numbers One-Year Warranty. SNAPPER/KEES 7010745. AYP 109850X. MURRAY 21031. MURRAY 021031. Fits Models: MTD, MURRAY & SNAPPER MODELS THAT USE THE. MTD 723-0156. MTD 723-3018. MTD 923-0156. Snapper Thrust Washer for Smooth Clutch / Drive Disc / 7014523YP. Ferris, Snapper Simplicity Deck Spindle 5100993SM. Spindle Assembly Cast Iron 8.0-6 Fits Mini Hercules ATR Zero Turn Mower. F150XT Series with 52" Mower Deck. Fits Ferris IS2500Z. SIMPLICITY/ALLIS CHA: 5100993SM. Craftsman 7103789, 7103789YP. Simplicity 7103789, 7103789YP. Snapper 7103789, 7103789YP. Craftsman 107280070 tractors. Snapper RZT26520, 285Z series. Belt Application Deck. Why buy from EPR Distribution?.